WE ARE A FAMILY RUN BUSINESS WITH OVER 60 YEARS MANUFACTURING EXPERIENCE. Offering The Finest & Safest Whirlpools In The UK. We only use the highest specification components available of which we import directly from world market leaders ITT Balboa (Hydroair). We unlike other suppliers refuse to use cheap inferior & possibly dangerous components. All our electrical items are certified by CE Marking do not be confused with the China Export Label. 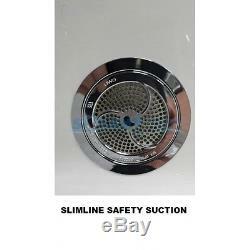 SAFETY SUCTION PROTECTION FITTED AS STANDARD. 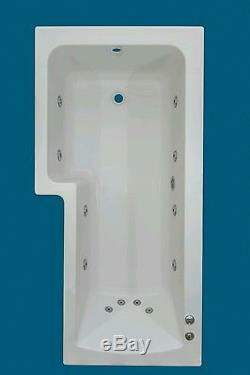 TROJAN ELITE 12 JET WHIRLPOOL BATH ULTIMATE IN LUXURY. Including Hinged Shower Screen & 3mm Front Panel. ACRYLIC WHITE 1675mm x 850 x 700mm. Which can be extended if so desired. 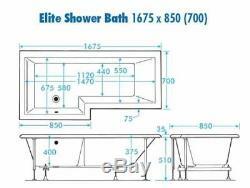 Trojan Elite Left Handed Shower Acrylic Bath Fully Encapsulated Base Dimensions 1700mm x 850 x 700 mm. Powerful & Quite 0.75 HP ECO 350E Self Draining Pump. 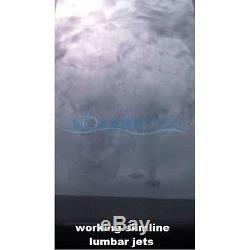 8 Large Full Flow And Direction Adjustable Large Body Jets. 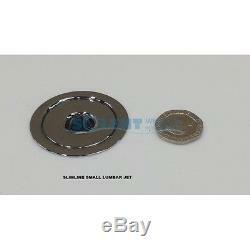 4 Slimline Small Chrome Lumbar Jets. Chrome On/Off Air Speed Controller. Please Note Bath supplied Without Tap Holes. Please do not sign for the item until it has been checked thoroughly, report any damages immediately and reject the consignment. We are fully aware of the implications when purchasing online and know of dealers who make false claims and inflate prices of the cheap products that they have to offer. As a family business we treat all our customers with honesty and integrity and offer the highest quality products that are available. 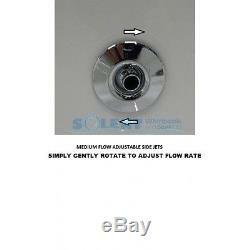 All of our whirlpool baths are only fitted with Balboa components. Balboa are the largest component manufacturers worldwide within the Hot Tub & Whirlpool Spa Bath field. The item "12 JET 1675mm TROJAN ELITE L SHAPED LH SHOWER WHIRLPOOL SPA BATH" is in sale since Wednesday, December 20, 2017. 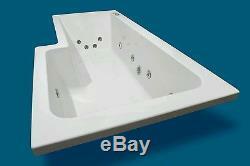 This item is in the category "Home, Furniture & DIY\Bath\Baths". 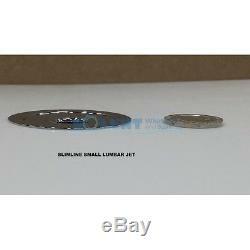 The seller is "whirlpoolspasolentltd" and is located in Southampton. This item can be shipped to United Kingdom, Ireland.